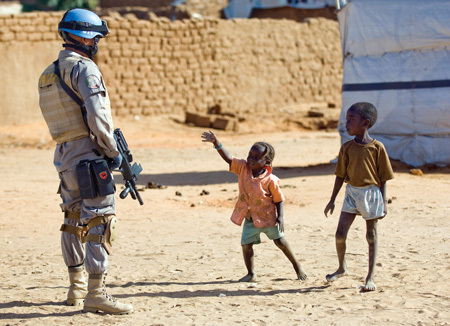 This course examines the cross-cutting principles and obligations concerning human rights within the specific context of armed conflicts and United Nations peace operations. Human rights is a dimension that transcends all phases and employs all components of a peace operation, leading to often complex implementation planning and coordination, which this course traces and delineates. The course begins by reviewing the landmark documents and instruments indispensible to the protection of human rights in theory, before demonstrating how such protection is enforced and performed on the ground. 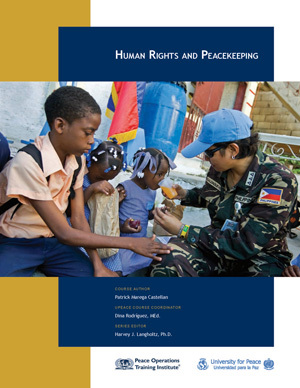 It discusses the various types of human rights violations, identifies the groups of people especially at risk, and conducts a thorough analysis on the concept of protection – the core of human rights work in peace operations. 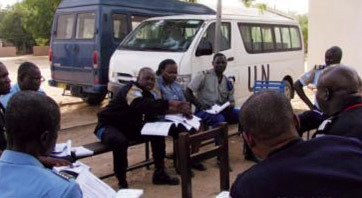 The course contains important sections on human rights partners – a group that includes such external actors as NGOs and international businesses – and on the process of accountability, which, as the course demonstrates, is essential in peace operations if an established peace is to be long-lasting and sustainable. Ten lessons. COURSE AUTHOR: Patrick Marega Castellan is a human rights consultant who has served in various capacities – including specialist, adviser, and trainer – for United Nations missions in Haiti, Darfur, Angola, and Liberia. From 2006 to 2009, he served in the Methodology, Education and Training Section of OHCHR, providing advice to OHCHR staff and developing human rights training material in collaboration with DPKO. He is based in Papua New Guinea. "POTI courses, including this, are well packaged and delivered. They are very good. " "question no 25 and 26 repetitive and spelling error on question no 16 makeing to be read making "
"My humble congratulations to the auther of the course: Human Rights and Peacekeeping and i found the course very interesting and useful when working in UN Peacekeeping Missions." " Seriousness and comprehensiveness in dealing with this topic through the invaluable experience of the author." "Excellent experience of undertaking a knowledgeable course..."
"everything was ok, thank you very much"
"What a wonderful course. It's an eye opener in the field of peacekeeping and human right." "The course has made me to know how to deal with other people without violating their rights. It has caused an awareness whereby I can easily know when somebody's right is violated." "Thank you for the opportunity to learn about human rights." "TOOLS FOR AN INTEGRATED MISSION PLANNING PROCESS ARE WITH AN CAPITAL IMPORTANCE. THIS COURSE SHOW THE RIGHT OF VICTIMS TO REPARATION OF HUMAN RIGHTS VIOLATIONS WHICH ARE :RESTITUTION,SATISFACTION,REHABILITATION,COMPENSATION AND GUARANTEES OF NON-REPETITION." "Excelente curso,esperemos que pronto este disponible en español. Gracias POTI"
"I liked the general understanding of human rights and the responsibilities of stakeholders involved in the peacekeeping operations..the course has also enhanced my understanding of human rights violations and general remedies and steps to take to address the violations ." "The materials and the the End lesson quizzes are very intersting." "Everything but it needs more understanding." "This course was really good and i discovered that UN has played a fundamental role in minimizing human rights violations both in armed conflicts and states all over the world"
"The course is comprehensively informative and highly educative." "The Human Rights and Peacekeeping course is very educative for me. It should be mandatory for all UN Staff to take this course." "It gives you insight of the importance of human rights, how to avoid, monitored and report. " "difficult course I ever come about"
"The course was educative and timely." "I was not pleased with some of the answers because they were controversial and in some cases there were more than one possible correct answers. " "To those of you who are committed to international peace and security, i recommend you study Human Rights and Peacekeeping with POTI. The course is quiet informative and to me it was refreshing to note that human rights need to implemented to become effective and that i quote " The relationship between a state and its ...is a matter of International concern. Up next is ..Protection of Civilians." "very interesting especially the exercice of the end of each lesson was very helpfull"
"The level of language was simple and easy to learn and as well as to assimilate. However, it should be noted that the course was too long. " "No doubt, the course has greatly enhance my professionalism, broaden my horizon and equipped me with the necessary essentials to carry out assigned tasks most efficiently and effectively. " " This course Human Rights and Peace keeping is a Tremendous and Outstanding course among other because it elaborates evident working ethics for us (Policemen) and guides us on the respect of Human Rights not only in the mission field but on our daily work as Police Officers. " "It was a wonderful course. " "No additional details. Thank you"
"Some questions are not clear you don't understand what the examiner is talking about. Fore example Question 26 which reads: Witnesses of sexual abuses committed by peacekeepers: Just to mention a few, I think there is no meaning in this. - A mistake on page 124 a sentence under crimes and Human Rights reads (he/or shee)"
"This Course has a lot of insight in Human Rights and Peackeeping. *****"
"I JUST WANT TO THANK POTI FOR BRINGING KNOWLEDGE TO US FREE OF CHARGE WELL DONE POTI I DONOT HAVE ANYTHING TO SAY ." "Thanks for managing this course for peacekeepers "
"this subject is very imp for a peacekeeper bcoz knowledge of human rights is very imp for a successfull peacekepping mission." "This course is excellent and related to my field of work." "if we can get many training materials its good for me. because I'm working as a trainer in my country. " "It's a good course which helps people to know how valuable are human rights. It also helps to know international laws, UN key-words, and strengthens one's manner of living peacefully with people from different cultures, traditions, religions, customs and ethnics. It gives knowledge and practice of the rules of politeness and carefulness. " "Very Nice Experience from many of these courses"
"I earned knowledge by studying this Chapter which will assist me for working in the UN Mission." "I liked the course outline, in that it showcases the different human rights every individual in entitiled to that if well followed, the world will be a better place to live in"
"It is very detailed and informative.. "
"It is a excellent course to do. Gives a broader perspective on the subject." "A Great course and a must do ..."
"Muy valioso el curso Human Rights and Peacekeeping"
"IT HAS BEEN A PLEASURE TAKING PART IN THE POTI COURSE IT HAS BRODEN MY COPE OF KNOWLEDGE ABOUT WHAT A CIMIC OFFICER AND OFFICE DO. HOPEFULLY WILL DO MORE COURSE"
"It is a lengthy and high-quality course." "To learn about peace keeping operations"
"I was taking this course simple because during mu undergraduate I have done IHL. I did not take enough time to study. I thought i know the substance.. This has proven me wrong for i was about to fail kkkkkkk. Thanks I have made it kkkkkk"
"Excellent and relevant for UN Peacekeepers"
"very good course. requires dedicated effort to do well in final exam"
"The course is in line with my military and human rights career." "This course is teaching more on human rights which is giving the clear picture that no one is above the law." "The course was good, well summarized and to the point"
""Human Rights and Peacekeeping" helped me obtain the right mindset for employment with United Nations aspirations at heart. " "Great exposure once again!!! Thank you POTI"
"All the information was very interesting"
"The course is very intensive and detailed"
"More interaction would be good"
"It was a very challenging course. " 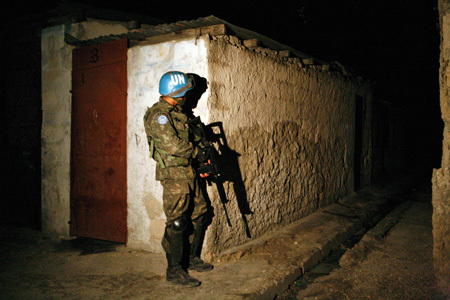 "Practical examples about countries that were in conflict and how the UN mission responded to Human Rights. I would recommend the same course for others especial in South Sudan." "excellent course for wide range of knowledge.thanks"
"It's an excellent course. " "The course has adequate content al least for its level of certification. 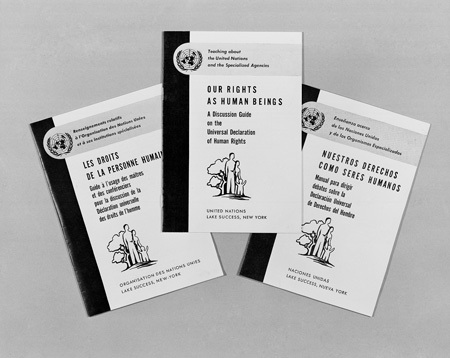 There is basic information on human rights and how it is operationalized. It has a good foundation upon which other related courses can be build on.."
"The course is very reach and educative, particularly the contemporary issues." "YES this course is very important in my life." "it was very useful and interesting"
"This course has a practical importance for me, as a part of my work in UNMISS is daily reporting. 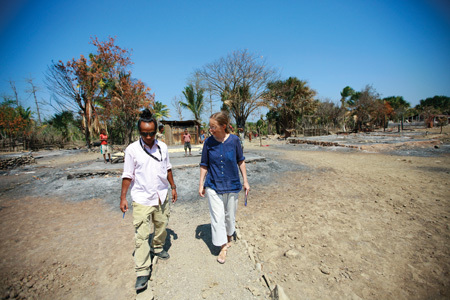 Human rights violations, monitoring and follow up actions is the part of the UN mandate here. It helps me a lot to do my work better." 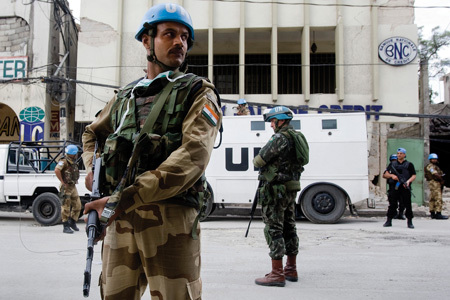 "This course has many examples focusing on the UN in action, ie. from the field"
"This course tells all that we are all equal. Humans are all guided by international human rights law." "EDUCATIVE WITH REGARD TO PEACEKEEPERS"
"question 10 of end of chapter 6 quiz is misleading. same answer was chosen at the end of course quiz and it was marked incorrect. ( right protectors)"
"the topics studied in the course could give a deep vision in the issue of peacekeeping and human rights. I could learn much more than I knew before start studing. Keep this pattern in teaching. I apprecciate a lot the oportunity to improve my knowledge." "It keeps you better informed"
"this course add more knowledge for those who currently serving at the mission"
"Illustrations and the end questions are very practical." "Good for officers from sections other than human rights. " "very informative and helpful course "
"this is very useful course "
"I liked the course and I understood more about peacekeeping. In my opinion this course must be given to all partners in peace operations. In particular for military, police and electoral sections." "a good course nutritious with facts for peacekeepers in due performance of duty in regard to Human Rights observance in a mission area and home countries." "It very Helpful to us during the UNIFIL msn." 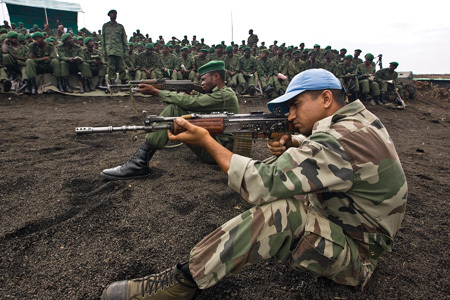 "Very good course for Peacekeepers. Please friends just take your time and study this helpful and educative course before you get yourself wrong. I am happy to finish the course and have the Certificate for future use." "Best to take care of HR in PK." Submitted by: NSUKIDI MAYITUKA B. "I like the course of its inclusion of Human Rights in peacekeeping operations. What I need to be added here is some important cases and best benchmarks. " "it increases the knowledge "
"I have leant a lot about this course and encourage others to take advantage. it is excellent"
"THE COURSE WAS EXCELLENT, VERY INTERESTING AND EDUCATIVE." "the course is interesting and informative "
"The way the author arranged the materials." 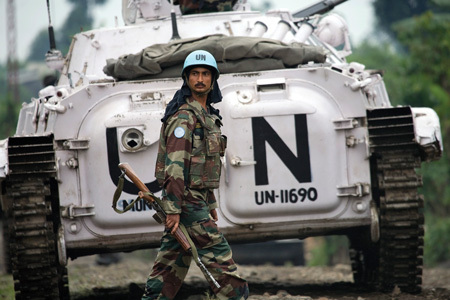 "Very good tools for peacekeepers." "It was a great learning"
"Un cours très riche et très instructif que je recommande à toute personne voulant servir dans une mission de paix." "THE COURSE IS SO GOOD, IT GIVES WIDER KNOWLEDGE ON HUMAN RIGHTS IN RELATION TO MILITARY OPERATIONS"
"Very well structured and relevant for field peacekeepers." "I learn alot about world governing laws "
"I like the account of the development of armed conflicts during the UN era and their implications for the protection of human right. I also like why human rights are important for identifying the causes and finding solution to armed conflicts and the awareness creation of the spectrum or UN activities with the objective of preventing and resolving conflicts and the role of human right. " "Excellent coverage of Human Rights issues in mission area." "Good course to understand the aspects of Human Rights"
"This course is very clear of understanding. Envolving student to deep in search and responses of the multicomplex and multilevel peacekeeping operations in respect of Human Rights as a center of stabilization to reach the sustainable peace. " 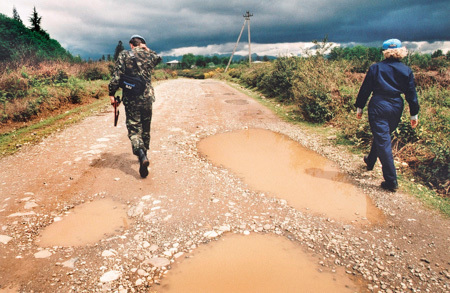 "The course unlighted me more on human right and peacekeeping operation "
"I found it very informative"
"The course contents are meticulously elaborative and covering each and every aspects in connection with Human rights and peacekeeping." "an excellent course on human rights, which broadens basic knowledge on the issue. i would recommend it to all military and non military personnel going on UN mission to undergo this course. i do recommend this as a mandatory course for each country's PKO training schools as part of the mandatory curriculum. " "It is very useful for the peacekeeper persons who are in the peacekeeping mission or would like to go. It has very useful information. " "In this course i like HUMAN RIGHTS IN INTEGRATED MISSIONS:PLANNING AND IMPLEMENTATION." "The course provide the student with a depth of knowledge on human rights issues. It has clear articulated examples which are easy to follows"
"Me pareció muy interesante. El contenido del libro es muy completo. También los videos ayudan. Sugiero que además de usar el material disponible, se consulte el marco legal en Internet. En resumen, el curso es excelente." "well i like the course because of is helpfull and thanks to all authors"
"This course is very valuable to briefly know about Human Right all around the World." "it is good for knowledge"
"it gave me new information, thanks"
"A good course for all who encourage human rights"
" human rights principles and protection of human rights by UN and all Revelant agencies whom working in that field." "explanation on civil and political, economic, social and cultural rights"
"The course gives more information on several bodies of the International law and how people are protected against Human Rights violations." "this course was very helpful for the improvement of knowledge. " "It is a right for every individual to know their rights and how to protect themselves." "It is a main concern for a police officer or military staff to be aware of human Rights concept. Really, being staff of one of those two fields needs to have a kbnowledge on Human Rights. In other words you can not enforce what you personally do'nt know. This course has been of a good use not only in my carrier as a police officer but also in my daily life as a human being. " "It give a student the feel of human rights and puts him/her to know that he/she is a human rights defender at any time anywhere." "Excellent, practical, useful. Thank you all for your excellent job! Keep doing it." "more detailed information on human right relating to peace keeping"
"quiet informative in everything an individual would like to know in the context of peace operations "
"I have a lot of interest on the course. I have been a protector and promoter of human rights throughout my career in the military, this course is very very interesting because you will learned a more complex and integrated perspective on the importance of human rights, its importance in the conduct of peace operations and what are our roles as peacekeepers in the promotion and protection of human rights. You will learn a lot in the course. I rate it excellent. " "The course is very good and helpful "
"very helpful and educative "
"i would like to be more informed a bout legal issues pertaining to peace Operation Misssions." "It is an enlightening course especially for peace keepers operating in conflict and post conflict areas." "The way the course is arranged gives a chance for someone so busy to do it. 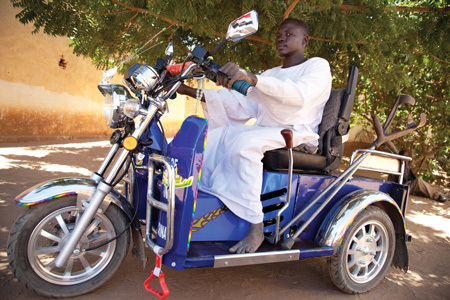 it improves a lot on the working capability in the mission area." "Very comprehensive and detailed course to give an insight of the Human rights during peacekeeping for all the tentacles of the Mission. Must read Course. Thanks author "
"LIKE THE COURSE BECAUSE, A LOT OF HUMAN RIGHTS ARE BEING VIOLATED DURING ARMS CONFLICT. ALSO IT GIVES ME AN INSIGHT OF WHAT IS HUMAN RIGHTS. ALSO, IF UN DECIDE TO EMPLOY ME TODAY, IT CAN STILL USE IT. THANKS SO MUCH FOR THIS OPPORTUNITY." " It expands peoples knowledge on how to approach various people in various regions having various problems. A course dealing with Civilian protection that will look into a better human rights they deserve." "Clear explanation in the material / text and helpful pre-test and questions"
"Very comprehensive, motivating and very useful in peackeeking enviroment. Best regards, Maria "
"ce cours m'a permis de distinguer davantage la différence et la complémentarité entre droit humain et droit international humanutaire"
"very good course for the peace keepers"
"What I want to say is that Human Right is an undeniable right of every human being on earth, let us maintain it." "the course is good but better at each end of the topic there suppose to be an index as in other books share." "This course has spell out the necessary attitude and guidelines for any UN Workers/Peacekeepers as it affect their mission. I believe this course should be a must for any UN peacekeepers before embarking on any mission. " "its very usefull because i learned maney things about human rights of people in armed conflict and even how to protect civilin and also role of icc for state breaking the law because every one has right to live and to educate to have freedom in opinion ." "The human right course are so difficut compare other courses like United Nation Police." "A very interesting and informative course. Just the following found in question paper - question 25 and 45 are the one and same. Question 40 - answers B and D are both correct - which one should be marked? Some of my questions were marked as incorrect whilst being correct - questions 21, 29, 32, 41, 46, 49. I had submitted a report to one of the authors in the form attached. Regards Bruce Everton South Africa 0027825639169"